When it rains, water either runs off the land or filters into the ground. 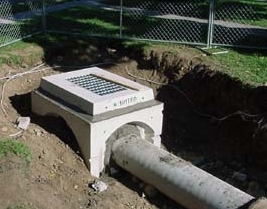 In urban and suburban areas, where roads, rooftops, parking lots and other impervious surfaces are common, most stormwater runs off the hardened surfaces and into local streams and storm drains, and eventually into rivers and other bodies of water. Youngs River Trees can help you control storm water runoff. As water runs across hardened surfaces, it picks up these pollutants, which can be harmful to aquatic life. Increased amounts of stormwater can also erode stream banks, contributing more sediment and degrading stream habitats. Development activities like clearing vegetation, mass grading, removing and compacting soil, and adding impervious surfaces have increased stormwater runoff. Forests, wetlands and other naturally vegetated areas slow stormwater runoff and absorb water and pollutants. When these natural buffers are removed to make way for development, stormwater and the pollution it carries are able to flow freely into local waterways. Impervious surfaces—roads, rooftops, parking lots and other hardened surfaces—do not allow precipitation to soak into the soil. Instead, water runs off and picks up dirt, trash, motor oil and other pollutants on its way to the nearest storm drain. Muddy runoff from construction of new development contributes substantial amounts of sediment to the Youngs River and it’s tributaries. 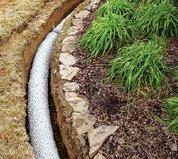 Stormwater runoff can also increase flooding in urban and suburban areas. Youngs River Trees has the experience and knowledge necessary to control storm water runoff – while not adversely affecting our precious environment! Give us a call. We’d be happy to take a look at your particular situation and provide you with a proper analysis, and strategy for results.